Patrick Quintos, ABS-CBN News Posted at Jul 19 2017 09:00 PM MANILA - "Gusto kong maging ISIS." 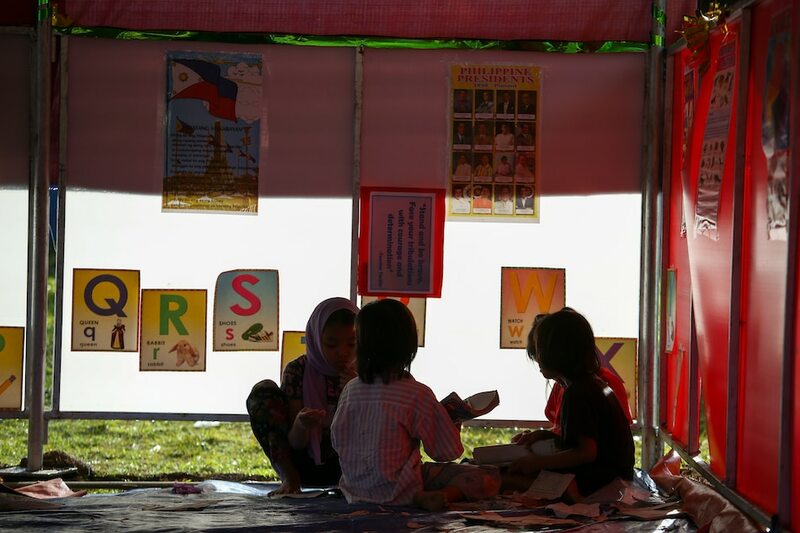 This was the answer of some of the children in evacuation centers outside conflict-stricken Marawi City, when social workers asked them what they dream to become. "So 7 to 12 years old, may ganito nang narrative," said peace advocate Bai Rohaniza Sumndad-Usman of the children's response that referred to terror group Islamic State. She said some displaced Maranao kids were still having nightmares of the war, which has gripped their hometown for nearly two months now. A lot of children in conflict areas in restive Mindanao, Sumndad-Usman said, have been exposed not only to violence but to the ideas of violent extremism through various means such as social media. "There are some kids between 13 to 17 years old, using their cellphones, watched videos of their fellow kids who have joined violent extremist groups, firing guns. What do they say? 'Uy idol! Astig!'" she said. 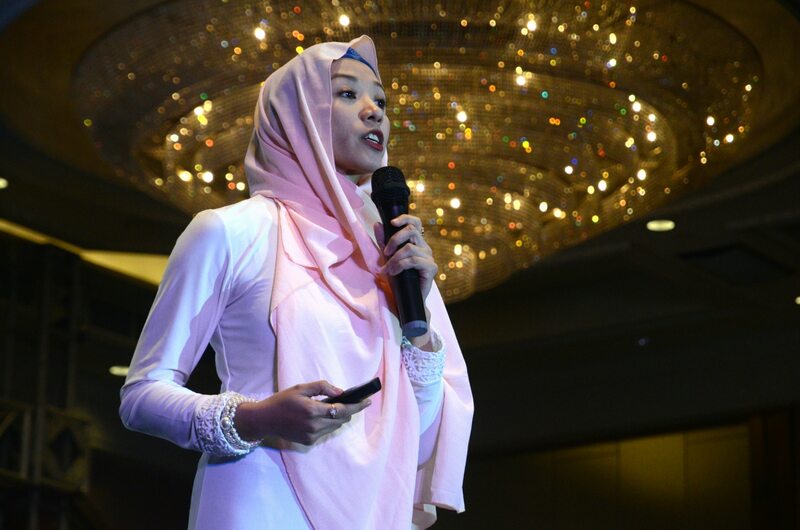 Sumndad-Usman and her group Teach Peace, Build Peace movement have been going around evacuation centers to help traumatized Maranao kids recover. Their psychosocial activities include asking the young "bakwits" to draw an image of their hometown, and giving them art kits and stuffed toys. "The challenge when it comes to children is you need to guide their thoughts at ang kanilang nararamdaman. I would say sa kids this would take time," she said. The war between government troops and terrorists in Marawi City hit its 58th day on Wednesday, with the death toll already breaching 500. As of July 17, 405 terrorists, 97 state troops, and 45 civilians have been killed in the conflict, per government figures. 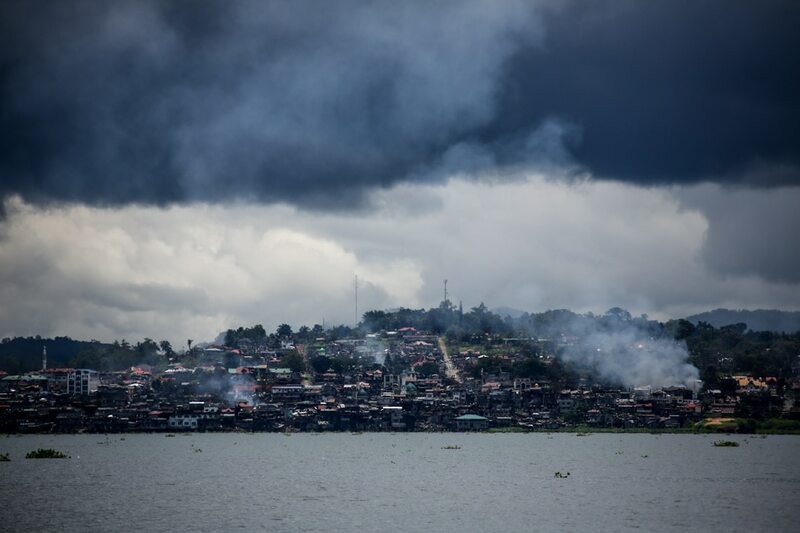 The nearly two-month siege has also forced 438,701 people to flee their homes in Marawi and nearby areas, and take shelter with their friends and relatives. At least 26,991 residents, meanwhile, are staying in 87 evacuation centers. Moving forward, Sumndad-Usman sees peace education for children as a way to counter the narrative of violence in conflict areas, not only in Mindanao but also in other places in the country. "Without a counter-narrative, they will follow a path of violence. We have to teach peace to create a culture of peace. In building a culture of peace, we can create generations of peace builders," she said. Sumndad-Usman said peace advocates have started their push for peace education in small communities with their "Schools and Communities of Peace Heroes Formation" program. Still, there is more to be done. "We need to institutionalize an effort towards that path of healing and of teaching our kids towards peace... We are hoping we can create this on a bigger scale," she said, adding that peace advocates were eyeing to push for the inclusion of peace education in government's rehabilitation efforts in Marawi City. As the group pursues its advocacy, she said social injustice, discrimination and lack of socio-economic developments remain the biggest challenges in attaining peace in Mindanao. Teach Peace, Build Peace Movement president Bai Rohaniza Sumndad-Usman speaks before business leaders at the League of Corporate Foundations Corporate Social Responsibility Expo in Makati City. Mark Demayo, ABS-CBN News. From the besieged city of Marawi, Sumndad-Usman travelled to the Corporate Social Responsibility Expo in Makati on Wednesday to ask business leaders to help the group create a culture of peace in the country. "Our call to every Filipino, to every sector in the Philippines is that it is high time to institutionalize peace education and peace building programs," she said.